I wasn’t going to post these pictures because the lighting came out really funky, but the salad was TOO DANG GOOD to pass up sharing with you lovely friends & readers today! I know this salad looks dry as a bone – but that’s just the way I like it! Feel free to top it with your favorite vinaigrette or dressing. Life is taking a full trip to crazy land right now, all we can do is try to hang on with both hands as tightly as possible. Luckily, life also has lovely things like this salad for me to make for myself when the little one is sleeping, and I need an extra boost of energy to make it through until dinnertime. 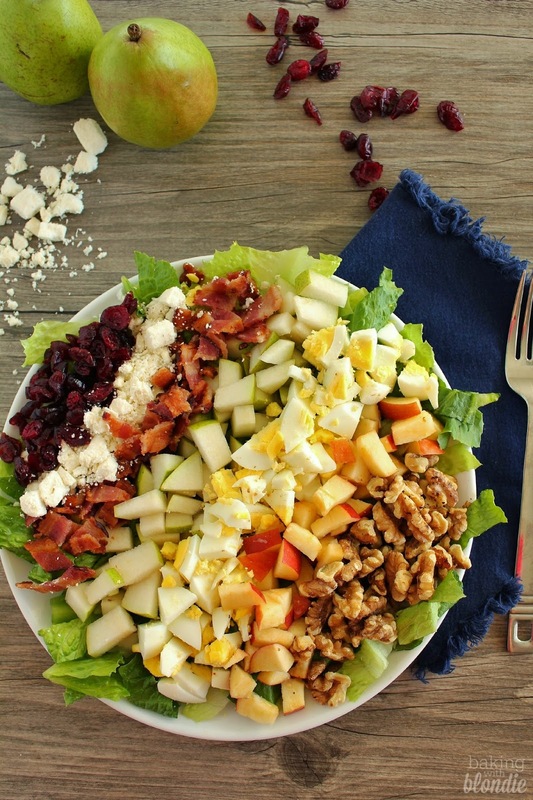 Hope you all had a great weekend, let’s start this week off healthy, and jump right into enak foods like this beautiful salad asap! 1. Prepare all the ingredients for assembly. Chop into small enough pieces so they can fit on a fork easily together. 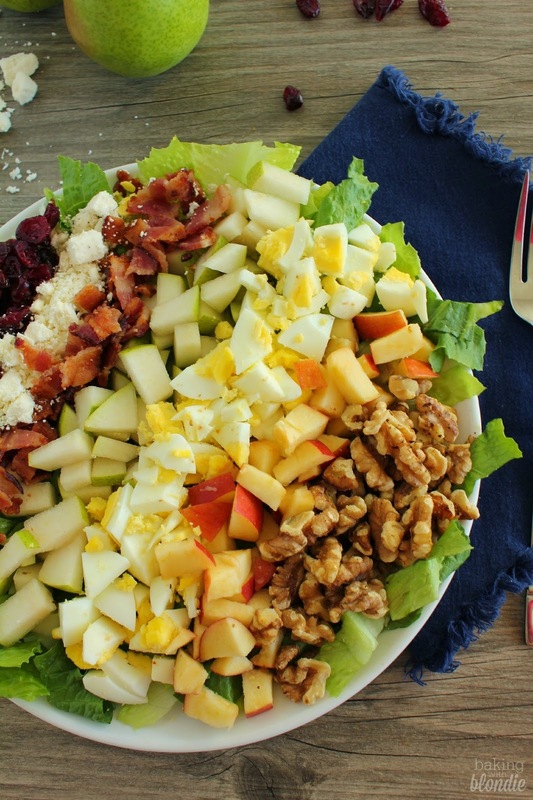 Lay out the romaine pieces on a plate, and then layer on the other salad components. 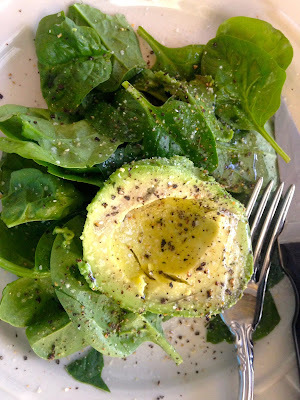 Top with your choice of vinaigrette or a light salad dressing. 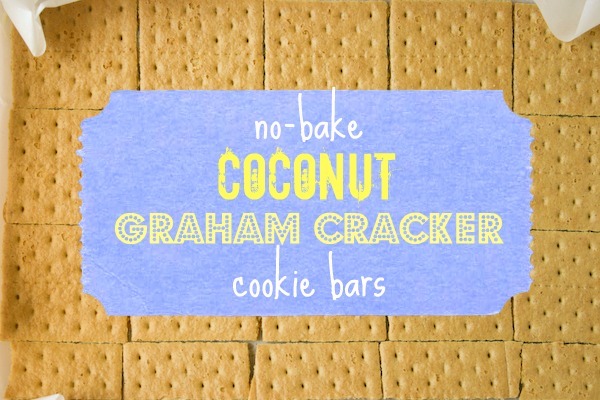 No-Bake Coconut Graham Cracker Cookie Bars. 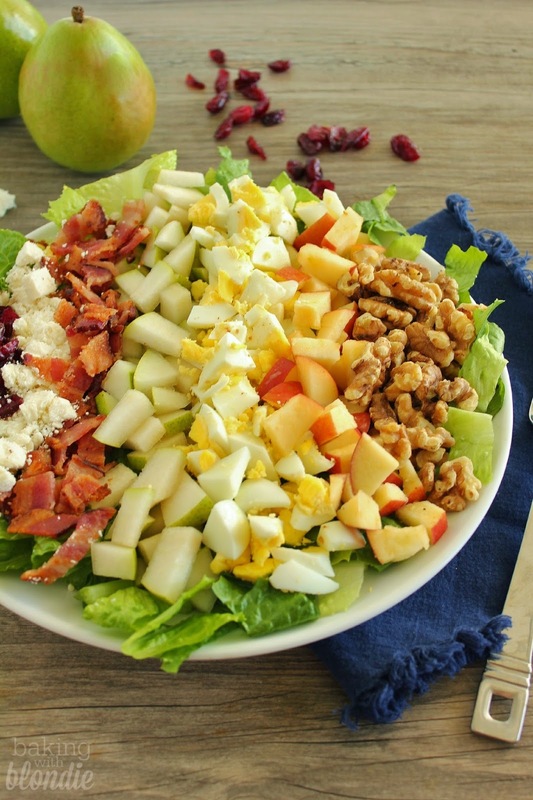 Posted in apples, bacon, cobb, cobb salad, craisins, egg, feta, pears, Salad, walnuts.